Arminda Montero is Global Supply Chain Quality Manager at AbbVie. In her role, she leads a global team specializing on supply chain integrity, distribution and logistics, and temperature control management strategic quality initiatives. She has worked in the pharmaceutical industry for over 15 and prior to her current role, she held positions in engineering, manufacturing and operational excellence. 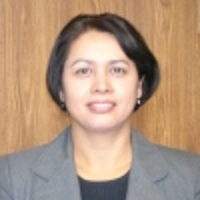 Arminda has been an active member of the IQPC Advisory Board and the PDA Pharmaceutical Cold Chain Interest Group. She has led and contributed to various PDA Technical Reports, including the topics of Product Stability Testing, Good Distribution Practices and Risk Management. She is a frequent speaker on strategic and tactical pharmaceutical quality systems and temperature control management. She holds a Bachelor of Science degree in Chemical Engineering from the University of Illinois at Urbana-Champaign.